"Happy Is He Who Can Transfer His Knowledge And Also Learn From It"
was born in Recife, Brazil. As a child Maria trained competitively in gymnastics until she fell in love with surfing at age 13. She travelled the world surfing and then settled on the North Shore of Oahu to build her big wave surfing skills. Maria was the first woman ever to tow-in to the powerful waves of Peahi, Maui, also known as “Jaws”. 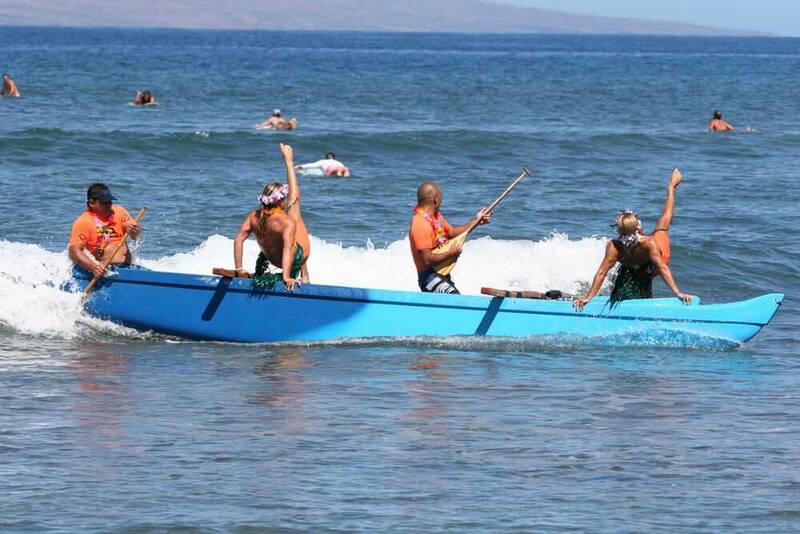 She moved to Maui when the sport of tow-in was born. In Maui she gave birth to her daughter Bela. And soon after the birth of Bela, Maria began to train hard again for tow-in surfing. Maria, along with Andrea Moeller, finished first on the first ever stand-up paddle channel crossing in 2005, 2006, amd 2008, a 7-hour crossing. Maria went to college for marketing and she designs her own line of swimwear. She practices tow-in surfing, foil surfing, windsurfing, kiteboarding, Hawaiian canoe, longboarding, tandem surfing and stand-up paddle. 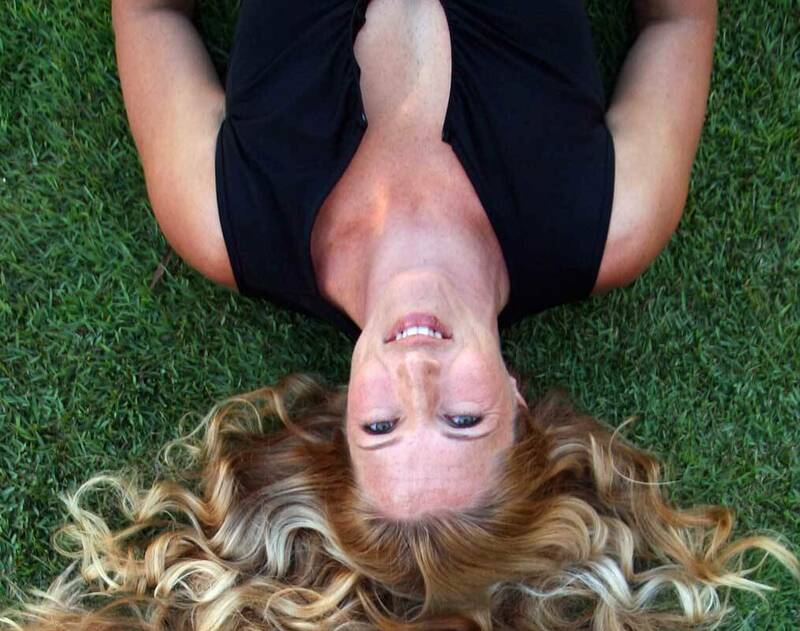 She teaches surfing, longboarding, kitesurfing, windsurfing, and now specializes with stand-up paddling, SUP Surfing, SUP Yoga, SUP Racing, SUP Downwind and in special occasions, Big Wave Surfing. 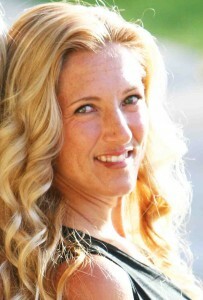 She is also a Physical/Emotional Therapist and personal trainer for athletes worldwide, on location or via online Webnars and Clinics. Big Mahalo to Maria’s family and close friends for their constant support. 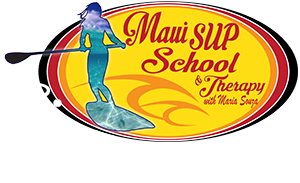 Big Mahalo to all my students and clients that teach so much and add to her tool box of experiences. Her goal is to keep learning and studying so she can continue to live her dream and enrich the lives of others. 1: Talk about your Childhood in Brazil and how you got involved with surfing and water sports. I was born in a city within waters, the huge Atlantic ocean and rivers meets everywhere. My mother’s grandmother was a healer and part Indian from the Amazon inlands, she used plants, roots and mostly ocean water to heal, passing it down to my mother. She took us to the sunrise at the ocean every morning before school, I remember her saying that the good angels arrived at that time on earth to do their good deeds. I could feel a presence, not human, an indescribable peace, a feeling that life would be OK because we were just charged by all of that energy. Many memories that I have are in the warm waters of Brazil, where we grew up sucking salt water through our noses to prevent colds, that was my playground, sanctuary, my home. I would try any piece of game that had to do with the ocean, I lived my life with pruned skin. The waves, no matter where we were they always there. Even as a teenager kisses and romance I thought were much better in the ocean. We floated at night and talked stories as if we were in our own living room. This feeling of connection and belonging grew with the desire for bigger waves. 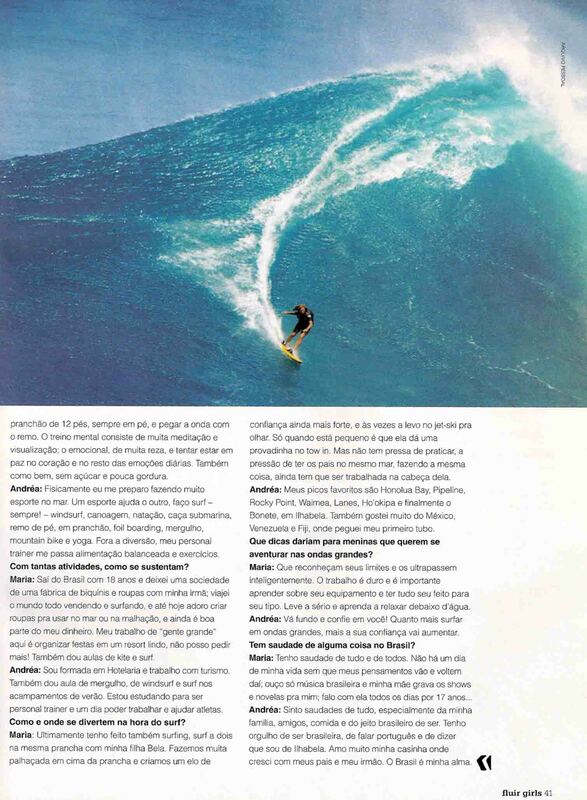 From 16 to 18 I worked hard and against all taboo, I left my Recife(Reef City) to conquer the waves around the world. 2: How and when did you come to the US? My biggest dream was to surf Hawaii. I made it when I turned 18 and never left. I was honored and blessed to be around situation where I was put to the test. I was always the first female to try new ocean sports and to break limits. Now looking back I realize that it happened without planning. I went with the flow and the love of my family in the support against all taboos. It’s a call from the heart, I could never measure waves by sizes only by emotion. The race of my heart, and with the advice from my Mom. I started an addiction to the passion I have which is my unreal love story with the ocean. I’ve lived on Oahu, Kauai, Hawaii, Molokai and now Maui, they are sisters with a lot of different personalities. I got to Oahu and met Darrick Doerner who was the life guard at Waimea. He was so knowledgeable and our friendship became an excuse to train for the big waves, we ran on super soft sand, paddle, swam, and dove the huge shore brakes for fun. I understood that the time I spent training for the waves made the X moment a mature and sweet unforgeable moment. My first contact with Laird was surfing Waimea Bay. I was on a body board when a set approached. He was flirting and I could not do both so I caught a wave in. The waves there were massive and I was the only girl in the water, again all the repression for being a female. That changed when we started to date, I was welcome in their group like a lucky charm. I was treated with respect for my athleticism and passion for the ocean, yet they thought it was awesome to have a girl around that understood about healing, health, and loved to cook. He had just bought a zodiac and was taking it out to Oahu outer reefs. I wanted to try and went for a ride at Phaetons during the end of 1990. I was hooked. During the day, I was like a boy, we did everything together and when night fell I would turn into a woman, wife and later mother. Later the zodiac were replaced by the jet ski and that was like riding a Ferrari instead of a war tank. 4: How does motherhood affect your attitude towards your tow surfing? I understood that the natural giving machine that you become when your a mother had changed me also in my sports. I felt responsible then for being in the spotlight, for breaking taboos and everything changed. I had the urge of giving back, If God trusted me with the blessing of a child knowing the surfer inside me, it was then for a bigger cause than just to surf big waves around the world for the thrill. In moment of difficulty, like heavy wipe-outs, or almost black-outs I put her smiling face in my eyes and that rope of peace pulls me out of trouble, she is my lucky charm. 5. Talk about your other interests, career path, Paddling with Andrea etc. My career is to be myself, to continue my life long work, to never stop learning and to concentrate on my center or business, Maria Souza Ocean Sports Education. My partnership with Andrea is an ongoing project, our friendship is based in respect and water force, we learn a lot with each other and Andrea is a honest athlete. We put valuable time in the water with an understand of no short-cuts, when we meet we’re present 200%. We started at ground zero. Striving to learn about the machine and ask for advice from the veterans. Our strength is that we are water athletes, no limitation to surf or tow-in, we are fishes trying to breath out of the water. We have not reached our potential yet, we are training for bigger waves and in the meantime loving our favorite gift, being a mother. After I gave birth to Bela, I felt the need to stop extreme surf. I loved her more than anything especially myself. So I took a break until she was 8. I could not live without that kind of soul food. Eventually I really wanted my own jet ski, equipment and girl partner. I saw a ski for sale, found Andrea’s number, and out of the blue asked if she wanted to go into that journey with me. The rest is history. We started from zero, had many break downs of the jet ski, a lot of muscle pain, we became the first and only tow-in female team. We drive, rescue and surf, we earned the respect of the best surfers in the line up and so far we did it with style and earned the respect to our own kind. I love being a woman, there is no pressure, we can do what we love being feminine and graceful. 7: What is the future holding for you? I keep working on my spirituality and plan to continue to change the world with my own two hands. I like to focus on present times. When you done expect anything, staying present keeps you grateful. 8: What is your feeling on the new generation of big wave surfer girls. I hope they take nature seriously and respect themselves, others and Mother Ocean. If that is their dream then start the work. There is no glory in showing off, when dealing with that kind of power. One learns quickly that the reward only can be felt from within and grow from it. If it makes you a better person, then it is definably worthwhile. Learn to listen to your own intuition and fear, listen to the silent messages of the universe and your hearts desire. I thank my family that gave me the opportunity to try different sports and gave me support and understanding on being a female surfer against the male and public forces. It made a huge difference in my life, the love you give is the only love you get. Massage Therapist Certification- Sports massage, Deep Tisue, Lomilomi, Hot Stone, Injury Rehabilitation/Therapy, Aromatherapy, Neuromuscular Therapy, Lymphatic Drainage, Joint Capsule Manipulation, etc.